Coming from an ill-informed music enthusiast and “blind” ear, Cut Copy put on a concert experience that truly amazed. 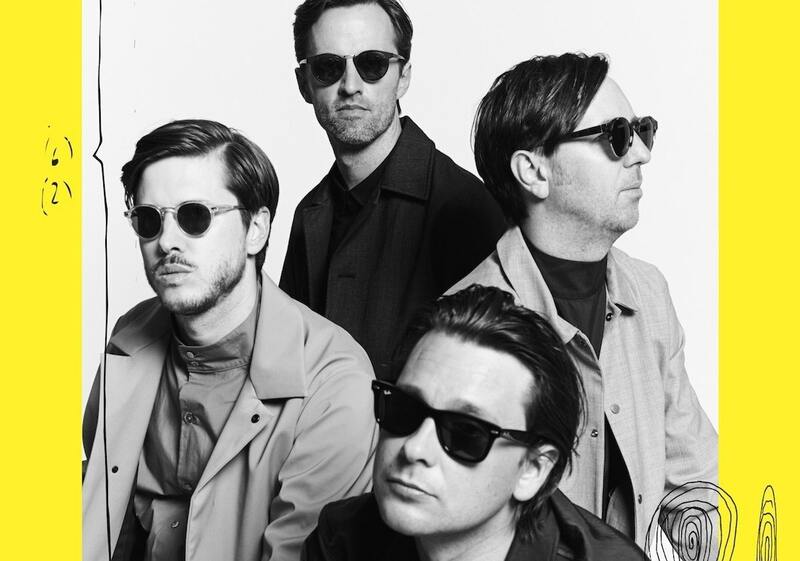 Australian electropop band Cut Copy stopped by 9:30 Club on Wednesday, Nov. 29. Their show was beautifully constructed; it featured a mixed bag of old and new synth tracks, an elaborate light setup, and a fan base that has clearly developed over the years. 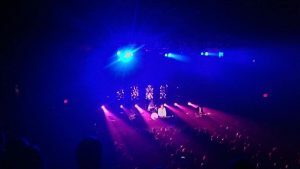 Coming from an ill-informed music enthusiast and “blind” ear, Cut Copy put on a concert experience that truly amazed – their set was hyped up with methodical transitions, well-cued lighting, and offbeat symbolism that celebrated their most recent album, Haiku From Zero (2017). Though their performance mainly highlighted tracks from Haiku From Zero (2017), nostalgia still beamed with classics like “Pharaohs & Pyramids” from Zonoscope (2011) and “Future” from Bright Like Neon Love (2004). Some songs were more recognizable than others, but transitions kept things interesting throughout. At points, it was even difficult to discern when a song ended and when another one began – it was like one, elongated story that Cut Copy successfully told. In addition to the energetic setlist, visual elements kept gazing eyes peeled to the stage. Seeing “Free Your Mind”, the second song off of Free Your Mind (2013), was a trip to watch. It was epic beyond capacity. Strobe lights circulated the crowd and the verse “free your mind” morphed across the backdrop, dancing with intentional dysfunction. This is a prime example of how their visuals went down in correspondence with the night – contrasting black-and-white blocks, chromatic patterns, and geometric visuals palpitated the human psyche. Overall, Cut Copy’s musical compass is a distortion of imbalanced sounds and earthly undertones. With unwavering swagger and an animated charisma, their upbeat nature and off-key style set them apart from other EDM shows. Feature Photo By (9:30 Club/Official Website).